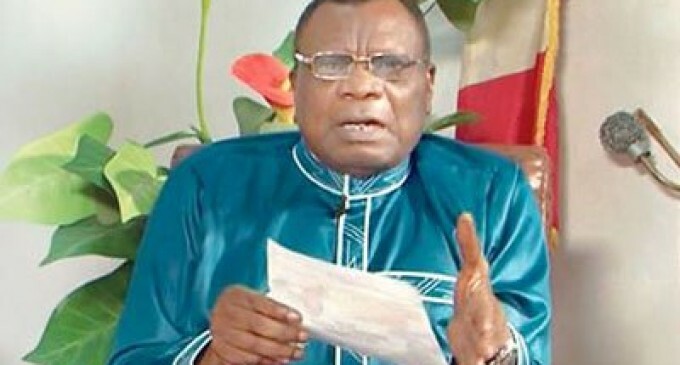 About two years after the demise of his wife, the General Overseer of Christ Apostolic Church, Vineyard of Comfort popularly known as CAC Agbala Itura, Prophet Samuel Kayode Abiara yesterday said he is prepared to re-marry. While giving his farewell speech as the retired General Evangelist, Prophet Abiara said: “It’s a year and half my beloved wife Christiana Aduke Abiara went to be with the Lord. “I missed her so much. It was all over the news when the event took place. A lot of people are wondering and asking questions what would I do? “I told them I am waiting on God, that whatever He tells me I will do. Well, by God’s grace, I will remarry in few days time and you will be informed. “I consider it imperative to re-marry because it was stated in the Bible. It was in the Bible that if a man loses his wife or a woman loses her husband, he or she must re-marry, particularly because of the nature of my work. “My children have held a meeting that it was not good for me to be alone in the house as all of them have travelled out and God spoke to me that I must do it and by the grace of God, you will get informed soon, ” he disclosed. Speaking on his retirement, he said contrary to people’s notion that he wants to quit the work of God, he is still an active worker in God’s vineyard, saying his retirement is to obey the church’s constitution which makes it compulsory for officers to resign after clocking 75. He also added that God has given him an assignment to establish a foundation after his retirement, which will cater for the less privileged.